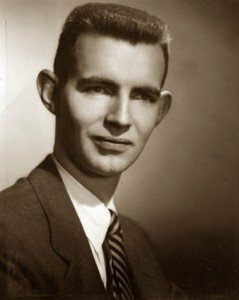 When the late organist and composer Daniel Pinkham assumed the music directorship at the King’s Chapel in 1958, he immediately founded the King’s Chapel Concert Series, featuring one-hour programs on Sundays at 5 pm. King’s Chapel’s current music director and organist, Heinrich Christensen, who continues this tradition, recently announced the 55th season. New England Spiritual Ensemble, celebrating its own 20th season, will perform the opening event on October 14th — its King’s Chapel debut. The singers will offer a program of both popular and lesser-known spirituals in arrangements by Moses Hogan, William Dawson, and others. Upon assuming his post, Pinkham inherited a large 1909 E. M. Skinner organ, so large, in fact, that one division was literally stuffed in an attic room, and according to Pinkham, the behemoth was “…audible to the singers only by two tiny (and tinny) loudspeakers.” Within a few years, he commenced a collaboration with the then up-and-coming organ builder Charles Brenton Fisk on designing a new organ. It was to be the first 3-manual mechanical (tracker) organ built in this country in the 20th century. Thanks to the generosity of Amelia Peabody, whose father had given the 1909 Skinner, the new Fisk organ was inaugurated in February 1964. 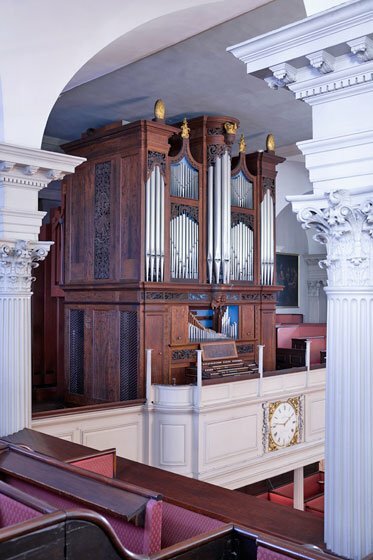 The influential opus 44 of C. B. Fisk, King’s Chapel’s sixth organ since 1723, will soon celebrate its 50th anniversary. Pinkham went on to use the Fisk organ to great acclaim, not least in his pioneering work in the Early Music field through the ’60s and ’70s, and of course also in many world premieres of works by himself and his contemporaries. Many of this season’s concerts will employ the instrument which is such a splendid legacy of Pinkham and Fisk. The second concert in the King’s Chapel Concert Series follows just two weeks after the first, on October 28th, with works by Benjamin Britten and contemporary Boston composer Carson Cooman. It features the King’s Chapel Choir, chamber orchestra, soloist soprano Mary Sullivan and tenor Thomas Gregg. Britten’s The Company of Heaven, an extraordinary work composed for a 1937 BBC broadcast, features poetry by several beloved British authors such as Christina Rossetti and Emily Brontë, interpolated with Biblical scripture in an extended meditation on the afterlife. Cooman’s The Evening Choir, which had its premiere at Harvard earlier this year, is reminiscent of Britten’s Rejoice in the Lamb, scored as it is for four soloists, chorus, and organ. The text is by Harvard graduate Jones Very (1813-1880), a troubled 19th-century poet, essayist, clergymen, and mystic who was very involved in the transcendentalist scene in Boston. On November 25th, baritone Brian Church will be featured in a program including Johannes Brahms’s Vier ernste Gesänge (Four Serious Songs). Rounding out the program are works by Daniel Pinkham and arias from J.S. Bach’s Advent cantatas. In the second half of the season, on January 27th the King’s Chapel Choir will sing an a cappella program that explores light and dark in choral music over five centuries from the Renaissance to Debussy, Whitacre, and more. On February 24th, Noah Getz, musician-in-residence at American University, Washington, DC will visit with his soprano saxophone. Included on this very international program will be a premiere from across the globe by the Australian composer Andrian Pertout, as well as works by Swede Anders Paulsson and Dutchman Ad Wammes. The season ends on Palm Sunday March 24th with a Victorian work in keeping with King’s Chapel’s Anglican roots: John Stainer’s The Crucifixion, performed by the King’s Chapel Choir with soloists Thomas Gregg and Brian Church accompanied by Church of the Advent’s Associate Organist and Choirmaster Ross Wood. King’s Chapel is at 58 Tremont Street, Boston. The programs on Sundays at 5 PM run approximately one hour. The suggested donation for The Concert Series is $15/10. There will be no advance ticket sales; doors will open at 4:30 PM.